Buckling up on the Volaris flight during my last trip back into Mexico, I glanced around at the good-humored, laughing Mexicans surrounding me on the flight and surprised myself when I involuntarily let out an audible sigh of relief. My friend who drives over the border from Arizona to get to Mexico says she does the same thing. We often talk about the sense of relief we feel the moment we cross the Mexican/American border, whether it’s me crossing it over the CBX walkway in Tijuana or her crossing it by car from Arizona, we both feel little like an escaping bank robbers (“You’ll have to extradite me now, cabrones!”). Back in 2014, these bi-national passages played out differently. I’d be on high alert and mainly apprehensive the moment I crossed the Mexican border, worried about the language barrier, Mexican opportunism, and the violence I’d read about in Sinaloa where I usually live (my well-meaning friends like to share horrific travel advisories). A majority of the people who decide to move or retire to Mexico have at least a decent amount of experience with the country, either from vacations or life situations, like marrying a Mexican or having past business dealings in Mexico to buffer them against their fears. When you have lived it, instead of reading about it, you can put all those worries into perspective. Until then, it’s a growth process. I write for those who have none of those advantages, those who realize that the United States (or Canada) no longer works for them and are looking for a way out, but still harbor those fears. One day, once you have put those unfounded fears behind you, you’ll likely find yourself sighing with relief too, as that feeling of being hounded by American consumerism, materialism, and financial stress, fall away as you cross the border. Bad sighs are bored sighs. They are the sighs you make when every day is the same. They are sighs you make when you have no concrete intentions, just vague desires. When we were younger, we had little choice but to confront our fears, bolstered by the knowledge that we had time to recover from our losses if events went off the rails. We had the luxury of knowing we could find another boyfriend or train for a new career. Children also seem to drive parents to do bigger things; hoping it’ll pay off with better lives for them. The stakes of making changes seem higher when we’re older. They’re not. There is vibrancy in change. The price you pay when you lose this vibrancy is even higher when you’re older. You can’t be sure that you’ll have the opportunity to make up for any time spent in a life you’re not excited about waking up for. It may be the last decade of your life for all you know. Everything’s going well, you say? No need for change here! No life is perfect nor can it ever be. You can always fit a little change in your life. We spend a lot of time setting up shop - making our lives convenient. When things are too convenient for too long, you can lose your confidence in your ability to solve problems. One day you wake up and don’t remember how you did it and are afraid you won’t be able to do it again. It holds you back. A friend of mine recently remarked that she hadn’t set up an electric or utility account in 30 years, a small thing for sure, but how many things have we not done in 30 years? How have they changed? Examine your world. Look for problems to solve, new ways to figure out old problems. Look at conditions, problems and goals with a beginner's eyes. As you ask others for advice, you’ll find yourself engaged in the world, not sighing into a void. I have friends who are still setting goals in their 70’s. Black activist and expat W.E.B. Du Bois had goals into his late nineties. Continue to set new goals and you will no longer sigh through your days. Even if you can’t go after it like a 30-year-old, even a few hours a day will help you feel the wind in your hair again. It takes courage to release the familiar. The process of fulfilling an old need in a new way will empower and give you confidence that you can meet whatever challenges lie ahead. Often the process in itself will become an adventure worth the re-tell. You’ll rejoice at the returning of strength and a renewed sense of anticipation as a new chapter in your story unfolds. You’ll sigh with a sense of accomplishment and satisfaction. Remember those? If you don’t, you’ve got work to do. Incidentally, you can develop this attitude of approaching change as a problem-solving adventure late in life. I did. (Although he de confesarte, any problem involving even a remotely a mechanical solution still challenges me. Whenever my girlfriends change a bike flat, I feel like I’m watching heart surgery). The analysis of the experience of sighing made me think of one of my favorite poems, Mary Oliver, and her poem about engaging in the world. Save hundreds of dollars flying through San Diego/Tijuana using Cross Border Express. Kerry Baker is the author of two books, "The Interactive Guide to Learning Spanish Free Online," and "If Only I Had a Place," a guide to renting in Mexico. 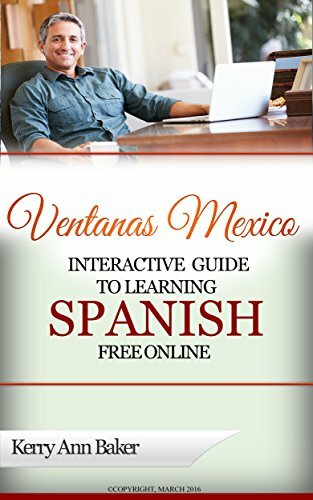 The "Interactive Guide to Learning Spanish Free Online is a curation of hundreds of links to the best free language learning tools on the web, organized by skill level and type of skill being developed. By using many different tools, you can create new study plans every day and never get bored. The Guide also tells you how to find and keep practice partners, and gives you the prices of most every tool out there to buy, saving you a lot of time wasted on sales pages and "free" tools that are not. It's like nothing else out there. 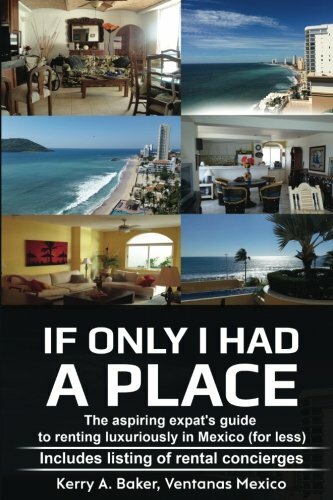 "If I Only Had a Place" is a system to adopt if you are trying to get the most luxurious places for the least money year after year, and how not to get scammed into ridiculous deposits and prerequisites. The book also has a listing of vetted rental concierges to look at places for your in the most popular expat centers. DO NOT rent a place without seeing it first!